The ‘madisaar’ clad ‘maami’, the bustling Sri Kapaleeswarar Temple and the Mada streets, the sabhas which promote South Indian classical art forms, passionate city-league cricket clubs and the pre-eminence of its legal luminaries. If Mylapore and its lawyers are to be talked about, then most stories and legends are inextricably linked to an enclave down a narrow, sleepy, winding street adjoining and running parallel to the famous North Mada street. A street referred to as Desigar Swami Street, perhaps only by the Indian Postal Department. But for a large majority of Mylaporeans, in open defiance of the Chennai Corporation’s renaming of streets and roads, an enclave still known by one name - ‘Palathope - Vakil Aathu Sandhu’. Pala-thope - a rather presumptuous name one would think, when you consider that a jackfruit tree or two in the backyards of the houses on this street does not exactly a verdant grove make. But then the reputation of Palathope being a lawyers powerhouse is anything but presumptuous, when one begins to draw a list of all the luminaries from this street who have graced court-rooms across India, starting from the nondescript local sub-divisional bench right up to that awe-inspiring, national seat of justice - the Supreme Court. Geographically pinning down Palathope is a task quite easily done. Take R.K. Mutt Road (Brodie’s Road in days gone by) leading north-south from the Luz Corner towards Adyar and then turn left at the concrete eyesore that the MRTS Thirumailai station is today. 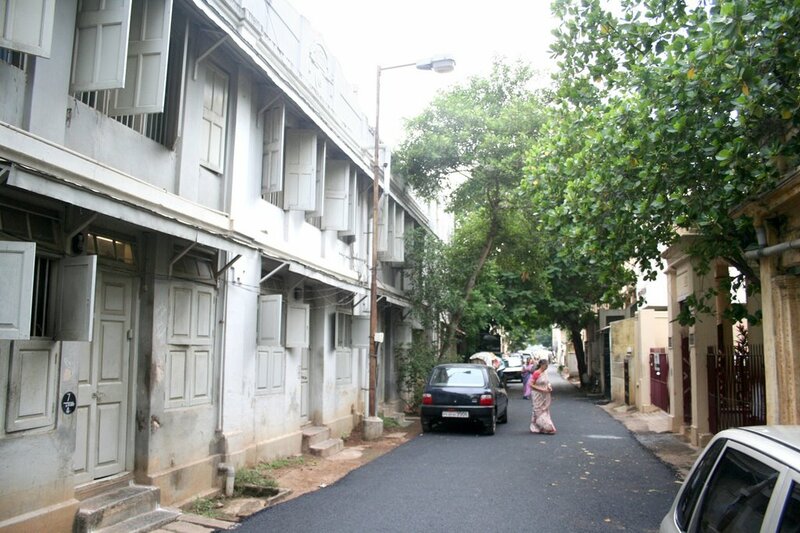 This is Palathope, a lane where the likes of Justice A. V. Viswanatha Sastri, Sir Subbaraya Iyer, M. S. Venkatrama Iyer and S. Swaminathan lived and waged epic courtroom battles in their quest for justice in legal areas as diverse as civil law to company law to criminal law. Even attempting to put down on paper the names, let alone the deeds, of all those brilliant men in their white shirts and black coats who have hailed from this little lane is an intimidating exercise, for fear of leaving out some notable personality. For it is not just a single, stand-alone generation of great men from Palathope who lived, flourished and ruled in the courtrooms of India, but it is rather, entire families, multiple generations of star-performers spanning many decades, ALL hailing from Palathope that have earned Mylapore this famous epithet of being a ‘Lawyers’ Enclave’. Grandfathers, uncles, nephews, brothers, second cousins, all willfully embraced this noble profession and thrived in the intellectual demands it made of them. For every Justice A. V. Viswanatha Sastri, who ended his career as a senior lawyer in the Supreme Court, there was a son - Justice R. Ratnam - who carved a glowing niche for himself as Judge of the Madras High Court, Chief Justice of the High Court of Himachal Pradesh, before finally capping his illustrious career as the acting Governor of Himachal Pradesh. Reams of inspiring stories can be written about the philanthropy of the great Subbaraya Iyer. A senior Income Tax lawyer, he was the busiest in the street of Palathope. Not content with just leaving his mark in the legal profession, he founded Vidya Mandir, Luz, Vivekananda College, Mylapore and the Madras Institute of Technology, Chromepet, all educational pillar stones of today’s Madras. Tales abound of the musical inclinations of senior criminal lawyer C. K. Venkatanarasimhan; a trait that saw him become a much-loved Secretary of the Madras Music Academy. Come December, his palatial Palathope house would play host to all the visiting giants of Carnatic music. Perk your ears a little and you just might hear strains of Palghat Mani Iyer’s mridangam reverberating down the street. Then. The entrepreneurial instincts and corporate successes of advocate turned industrialist S. Viswanathan who worked in M.S. Venkatarama Iyer’s office in Palathope, is also stuff legends are made of. A protégé of M. S. Venkatarama Iyer and a contemporary of R. Venkataraman, former President of India and S. Swaminathan, renowned Income Tax lawyer, Viswanathan started off as an advocate before becoming captain of Seshasayee Paper, TNPL and Ponni Sugars, one of the few to successfully straddle the worlds of both law and industry. As can be seen, it is but quite easy to digress and wax eloquent about the multifarious achievements of each of these great men. The focus however of this essay, remains in highlighting and archiving the remarkable saga of how the place, Palathope, has produced these legendary custodians of justice time and again through the ages. It is also this essay’s endeavor to invite opinion from readers and long-time residents of this neighborhood to throw light on this quite remarkable sociological phenomenon. An urban phenomenon that has had its origins in the late 1800s when every educated Madras resident aspired for a clerical post in the Madras bar in the service of the British. Fully impressed with their strong commitment, their mastery of the English language and their flair for intellectual debate, the British acceded higher positions of power in the legal system to this ‘league of extraordinary gentlemen’ from Mylapore. Is Palathope then a simplistic case of one generation’s values and aspirations being unfailingly passed down to the next, a case of professional success spawning further success or is it perhaps, some whimsical, logic-defying will of nature that caused this proliferation of giant advocates, all in one little street? Which happened first - the coming together of all these families in Palathope as a community or these men attaining unparalleled success in the legal profession and then choosing later on to settle down in Palathope. One of the most precious articles i have read today, leading from wikipedia. Thanks for the post. I was actually digging for Nageshwararao park. thanks for elighting about my street . iam residing at old no 43 and new no 10 which is at last but two. my forefathers settled way back some 120 years ago in this st and iam in that house, iam an investment consultant. please ct my no 9677053184. to all ny old friends who was with me several years ago and played street cricket with me . bye bye. r. murali. Nice to hear that Murali, Searching for our fore fathers in mylapore and sharing photos is something unforgettable.